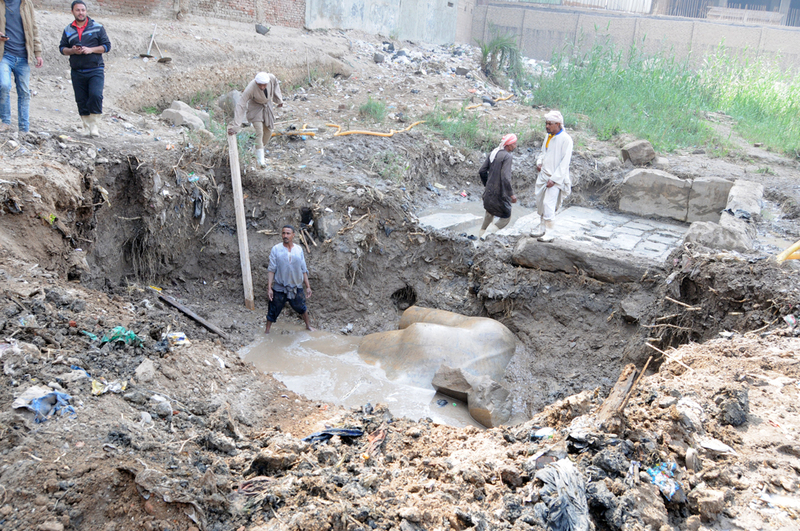 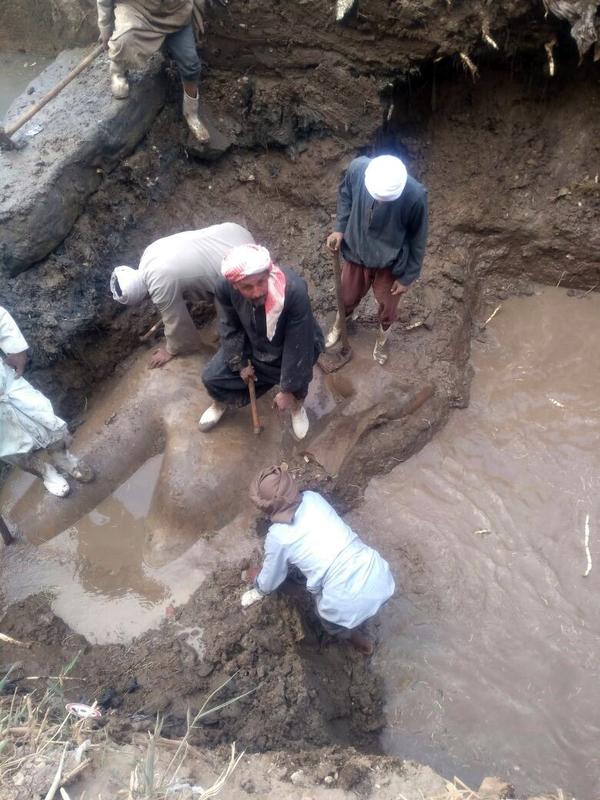 The Egyptian-German mission working at Matariya, old Heliopolis, unearthed two Ramesside statues during the ongoing Spring season at Suq el-Khamis temple. 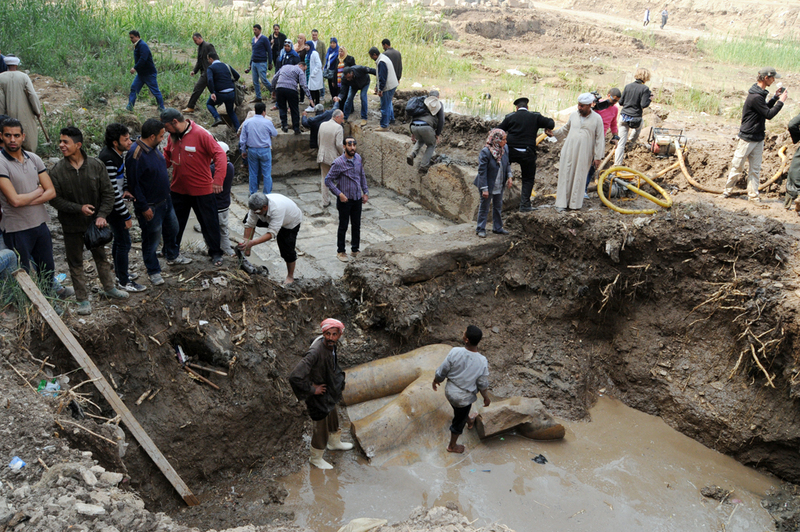 The mission of University of Leipzig in cooperation with Ministry of Antiquities is co-directed by Dr.Aiman Ashmawi and Dr.Dietrich Raue. 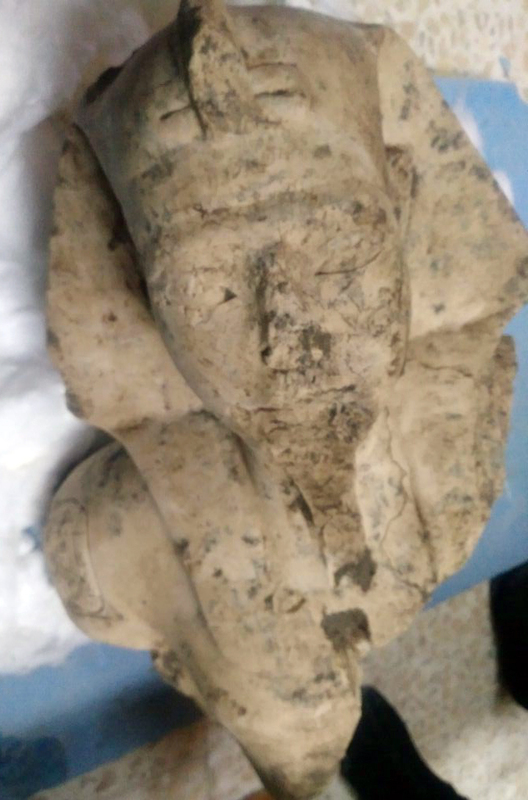 The statues are; one of the upper part of a limestone statue of Seti II measures about 80 cm high. Seti II upper statue part with inscriptions on the back reads "Mri.(f?) 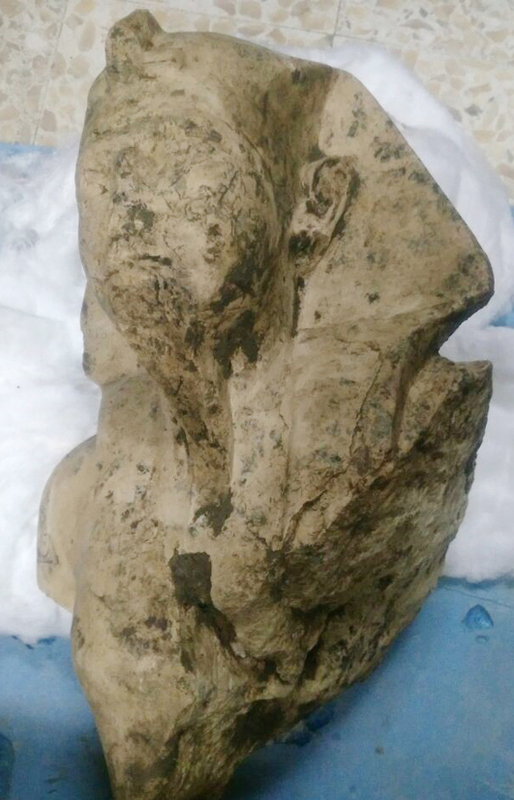 Di.f snb n (hr).f mr.f" Also the cartouche of Seti II appears on the shoulder. 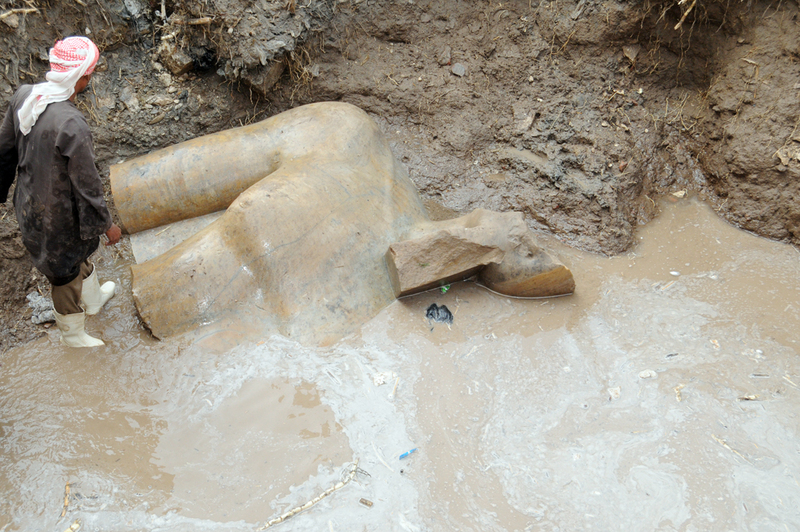 The second statue is quartzite probably for Ramesses II. 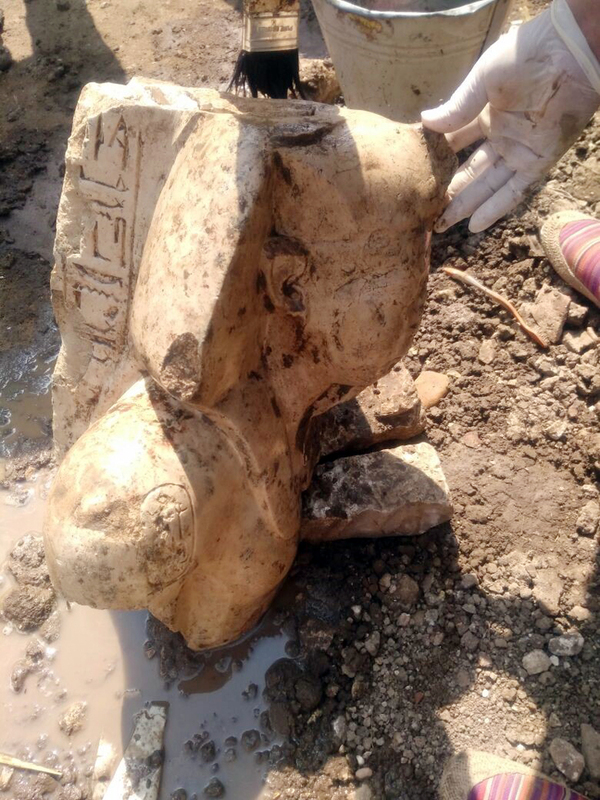 The statue parts were discovered so far doesn't have any inscriptions to indicate who does it belong to but it was discovered in the front of Ramesses II temple gate. 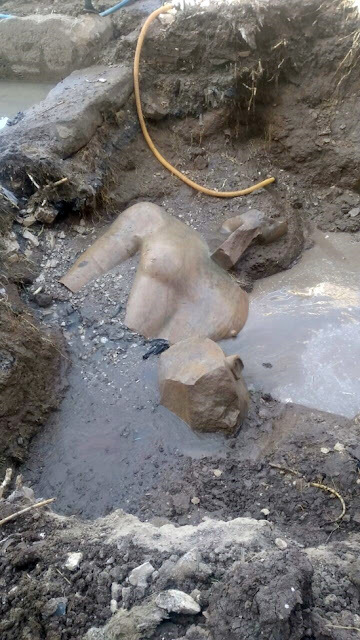 The unearthed statue blocs show that it measures approx. 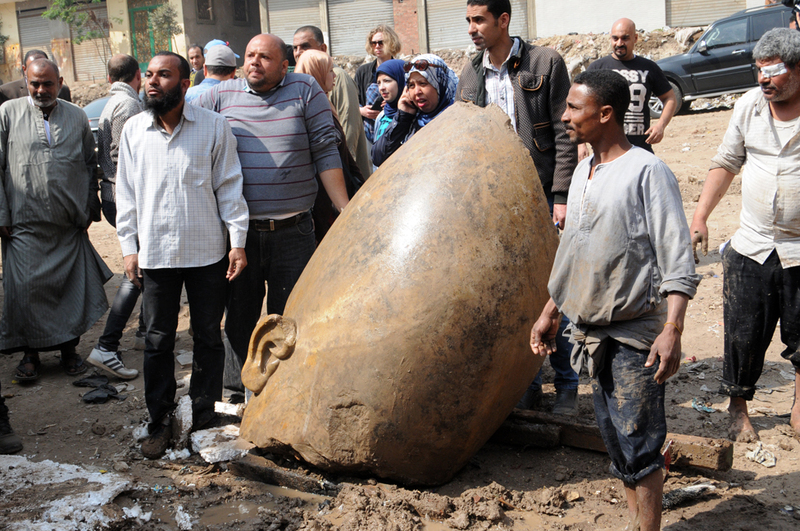 8 meters height including the base. 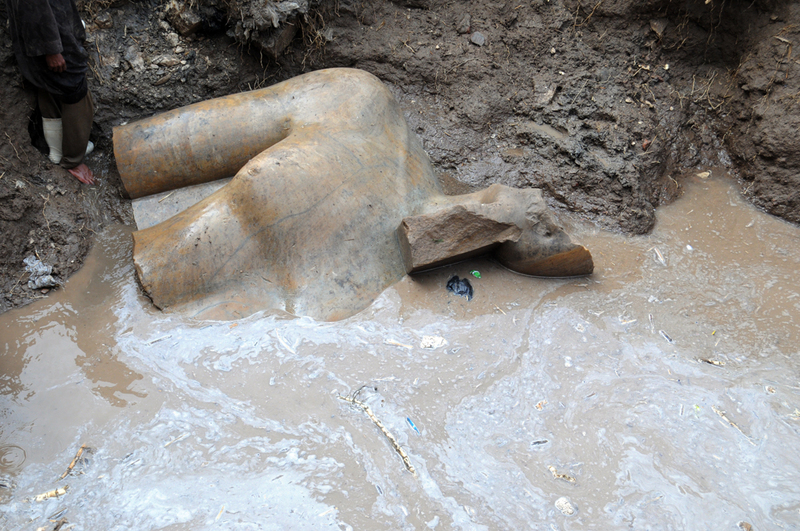 The discovered statues were submerged a meter deep in underground water. 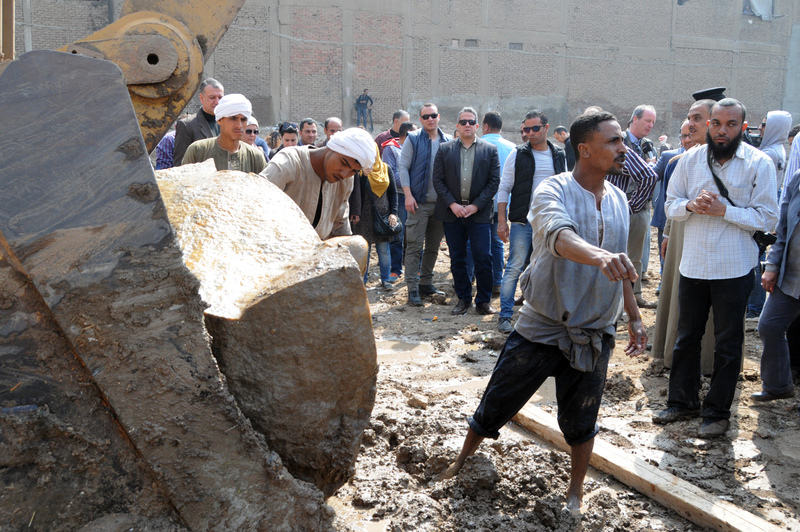 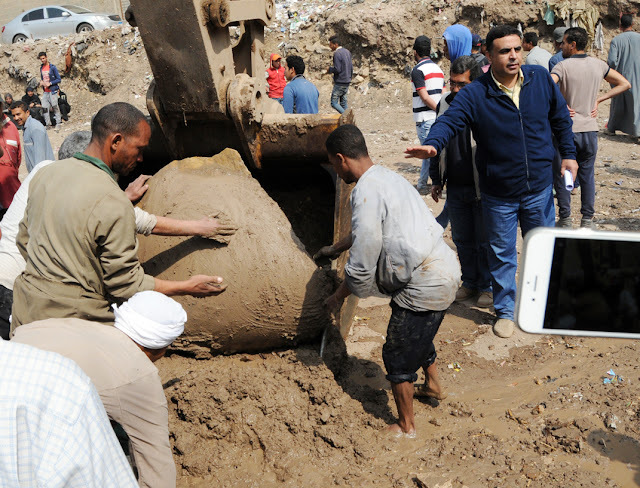 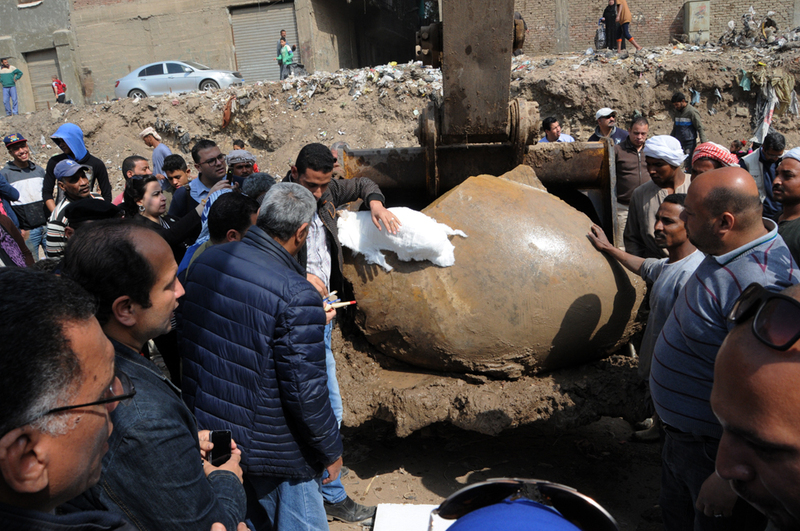 This morning, Dr. Khalid El=Enany attended the lifting of the parts of the colossus of Ramses II. 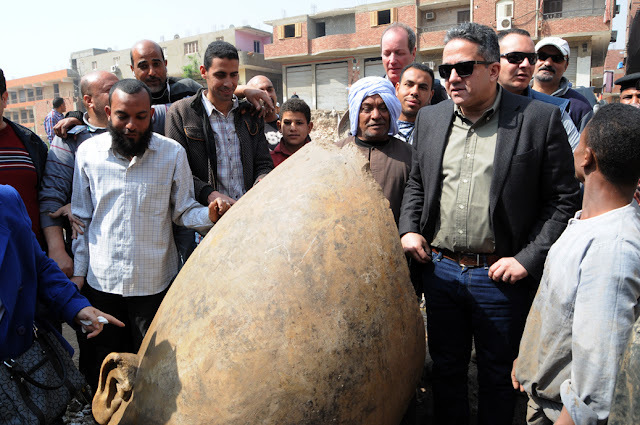 Dr. Khalid El-Enany, Minister of Antiquities, told Luxor Times that the one the statue is completely lifted, it will be moved to the Grand Egyptian Museum (GEM) to be included in the museum which is expected to open partially during 2018. The minister also said that there will be a temporary exhibition at the Egyptian Museum in Tahrir very soon to show the antiquities which were discovered recently at the site of Suq el-Khamis.